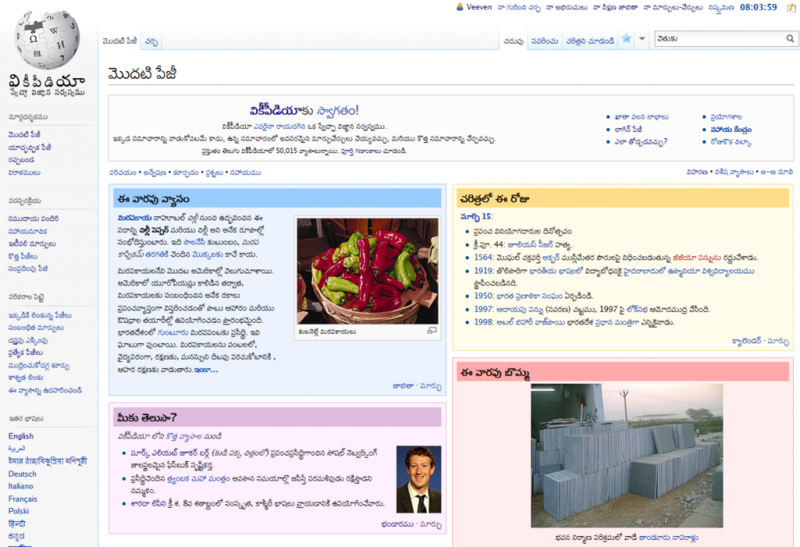 Couple of days ago Telugu Wikipedia reached the mark of 50,000 articles. Telugu is second Indian language to reach that mark after Hindi. For more details, see TeWiki Marathon page in Telugu Wikipedia. Andhra Jyothy’s website now in Unicode! 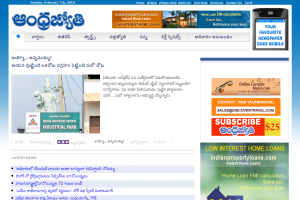 Andhra Jyothy, a popular Telugu daily, recently relaunched its website in Unicode. That’s a good news. With this launch, Andhra Jyothy joined Surya and Prajasakti, other Telugu dailies that already have their websites in Unicode. However, at this moment, Telugu Wikipedia has more number of articles (36,196) than any other Indian languageWikipedia. Telugu Wikipedia reaches 30,000 articles! Currently, it has 2,622 registered users. It is the only Indian Language Wikipedia ever to have more than 20,000 articles. However, it is good to see that 6 Indian Language Wikipedias (Telugu, Manipuri, Bengali, Hindi, Tamil and Marathi) have crossed 10,000 article mark. The following table shows the number of articles and registered users (as I write) in each of the Indian Language Wikipedias.